Hazard symbols are helpful pictograms that illustrate safety messages regarding specific hazards. The reason hazard symbols are so useful is that they work in any language since they do not use linguistics to convey safety messages. Because of the universal nature of hazard symbols, the same set of symbols can be used effectively worldwide thus enhancing the cohesiveness of the hazard message. However, even though pictograms are utilized to convey hazard messages, it is still important to brush up on each symbol in order to act and respond accordingly. How well do you know the hazard symbols? 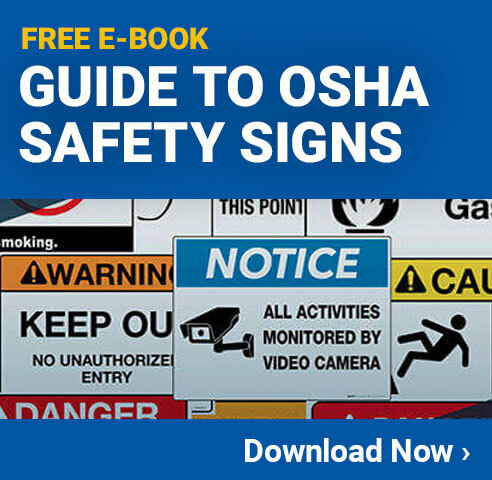 Read on to see if you are up-to-date with your hazard symbol recognition. Although this list does not include all the symbols it will give you a general idea of your hazard symbol awareness level. 1. A skull and crossbones usually indicates warning, what does this symbol mean? A. Dangerous for eating, but otherwise safe. B. Watch out for pirates! C. Toxic or poisonous materials. If you choose answer C – Toxic or poisonous materials you are correct! This symbol is associated with highly poisonous substances that can be very dangerous if inhaled or swallowed, furthermore these substances may also cause skin injuries. 2. This symbol may be commonly seen in chemistry labs among other places, what does it mean? A. Contact may cause melting. B. Liquid may cause items to dissolve. C. Substance is hazardous to human health. The correct answer is D – Corrosive Substance. Anything labeled with this symbol has corrosive properties that may cause burns or destroying living tissue upon contact. An example of this may be hydrochloric acid. 3. Although this symbol may seem more like a work of art than a hazard symbol, what does it mean? A. Sharp materials in the vicinity. C. Tribal tattoos given here. Drumroll… the correct answer is B – Biohazard. Anything labeled with this hazard symbol contains living organisms that may cause serious infection. Common examples of substances classified as biohazards are viruses, medical wastes, toxins, etc. 4. Don’t be confused, this symbol is often mistaken for another hazard symbol of similar nature, what is this symbol indicative of? B. Watch out for the ring of fire. C. Flammable, keep away from heat. No, this is not the tribute symbol to Johnny Cash’s song ring of fire. The correct answer is A – Oxidizing agent. When this hazard symbol is seen, it means that the substance is reactive with oxygen and will give off large amounts of heat. In a nutshell, oxidizers help a fire to burn longer and with more intensity. 5. This symbol may look like an abstract nature painting, however, what does it mean in the world of hazard symbols? A. Beware of black holes. The correct answer is B – Environmental Hazard. Anytime this symbol is seen, it means that substances are capable of polluting or damaging the environment. Certain insecticides may fall into this category among other substances. How well did you do? Are you confident with your hazard symbol awareness? If you answered 5 out of 5 correctly that’s great, you are most likely up-to-date on your hazard symbol recognition. However, if you missed any of the above five questions, it may be time to engage in a hazard symbol review. In order to act safely around different types of hazards, it is important to know and understand each hazard symbol and how it can affect you and others in the area.